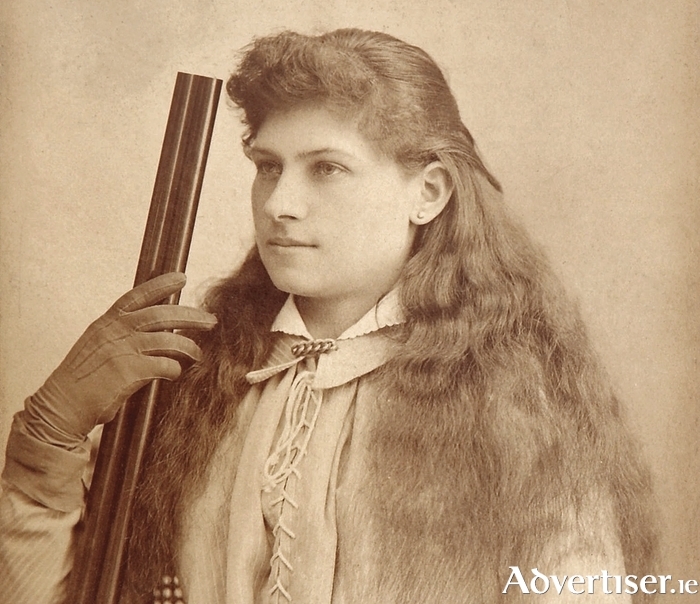 Annie Oakley photographed in 1880. HOW THE West Wasn't Won, a new comedy musical by Peter Kennedy, parodying Calamity Jane, Annie Get Your Gun, and Oklahoma! is to be staged by the Galway Patrician Musical Society. The show will be staged in the Town Hall Theatre from October 5 to 8, featuring such characters as The Loan Ranger, Butch Chastity, and Annie Oakleaf. It will be directed and choreographed by Peter Kennedy; the musical director is John Roe, and Martha O’Toole is the chorus mistress.